The Latest Long Lived Nvidia Driver 319.60 has been released with bug fixes and GeForce GTX 760 Ti OEM supported. 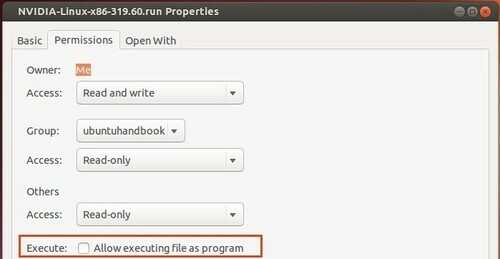 Here’s how to install it in Ubuntu 13.10 Saucy, Ubuntu 13.04 Raring, Ubuntu 12.04 Precise, and Linux Mint. Fixed a bug that could cause OpenGL applications to crash during the initialization of new threads. Fixed a bug that caused the GPU and Memory clock frequencies for some PowerMizer performance levels on Kepler boards to be reported incorrectly in the nvidia-settings control panel. Fixed a bug that caused the X server to fail to start on certain laptops when the boot display was on an external DisplayPort monitor, for example if the laptop was booted while the lid was closed. NOTE: If you’ve already installed an old version of NVIDIA proprietary driver on your machine, remove it before getting started (see step 5). When done, restart your computer by command sudo reboot.